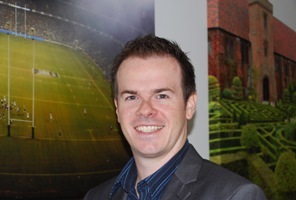 Lime Venue Portfolio, which manages a collection of 100 unusual sporting and cultural venues across the UK and Ireland, has promoted Richard Kadri-Langford to the newly-created position of head of marketing. Kadri-Langford, who was previously sales and marketing support manager, will oversee all aspects of Lime Venue Portfolio's above- and below-the-line marketing. The company is recruiting to fill the vacancy left by his promotion. Jo Austin, the firm's recently appointed head of sales, said: "Richard has had a huge impact since joining the company two years ago. His new position will allow him to focus his efforts on delivering our marketing strategy and driving our brand forward." Kadri-Langford added: "I am very excited to take on the challenge of increasing awareness of Lime Venue Portfolio, and am particularly looking forward to focussing on strengthening customer relationships in the near future." Lime Venue Portfolio is part of Compass Group UK & Ireland.